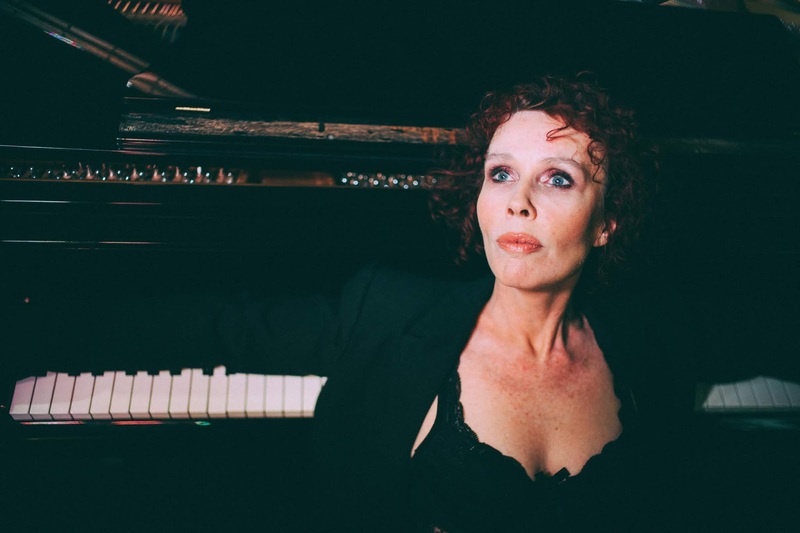 Vocalist, composer, journalist and educator Fiona Ross has enjoyed a long and successful professional life, which has included an eight-year stint as head of the British Academy of New Music, where she helped lay the foundations for the careers of Ed Sheeran, Rita Ora and Jess Glynne. Fiona launches her latest album, Fierce and Non-Compliant, on 18 April at The Bull’s Head, Barnes. Peter Jones asked her about it. LondonJazz News: The album title sounds like a strong feminist statement – reinforced by the CD cover image. Is that interpretation too simplistic? Fiona Ross: Yes, it is too simplistic, ha. It’s not a feminist statement at all and in fact the lyrics to the song explain my meaning “but you know, it’s just me #me”. Fierce is a term usually referred when discussing women, same as ‘sassy’ but in reality I don’t see how gender is really relevant to what I am doing. I am just going with the flow, going with the opportunities that are presented, trying to do my thing, work hard and be me – I’m not sure how this is really fierce. Another line explains this: “Is this how you see me? It’s not how I see me”. 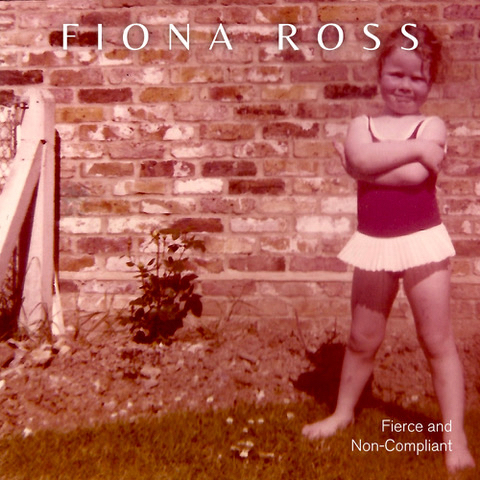 The album title came about when I posted a tweet about a year ago about being ‘fierce and non-compliant’ as a kind of motivational thought really, and someone replied saying that would be a fab album title. I agreed and then decided that I would call my next album that – just because I liked the title, no reference to anything other than that. But then when I started writing, it all came into this place that all linked together and made sense. LJN: Tell us something about the bassist Snow Owl, and which tracks is he on? FR: Snow Owl plays on two tracks Don’t Say and I Don’t Want It. He is a Grammy-nominated world-renowned bassist and an incredible human being. I first met him when I interviewed him for Jazz in Europe. I was busy writing my album and while writing Don’t Say on the third chord, I could suddenly imagine him playing on the track, messaged him and he said yes. I finished that song with him in mind and wrote another one too. We were just organising recording the songs and he invited me over to Vienna, which is where he lives. We had a day in a castle – which is where he recorded his Blue Road album. LJN: How did you meet saxophonist Kim Cypher? FR: Well actually, I first met her on the session! But we met virtually through social media. I interviewed her when I was working for Jazz UK and we have stayed in touch and followed each other ever since. LJN: What governed your choice of the other musicians? (You’ve worked with most of them before, by the look of it). FR: I have worked with Marley Drummond, Derek Daley and Gibbi Bettini on my last three albums and they used to be my students at the British Academy. The rest of the musicians (Adam Hayes, Ashaine White and Loren Hignell) are who I work with live, with the addition of trumpet (Adam Brown) for this album. My choices are completely governed by how wonderful these human beings are and how passionate they are about music. Genuine and real people. And of course, amazing players! LJN: How did you learn about being a producer? Was it easy to make those “kill your darlings” decisions? FR: I am still learning! Don’t think I will ever stop. This is the third album I have produced and I am growing with this. I always like to control the whole process, so initially fell into the role by default really, with my second album, but then stepped up a gear with the last two. I love experimenting with different recording locations and techniques. When I was teaching, I did teach Music Production and in fact was an examiner for A-level Music Technology once, so I have some knowledge. I have not had to make any “kill your darling” decisions yet, but I can be objective! LJN: You’ve been quite prolific – I counted four albums, including this new one, in three years. Do you find writing original material comes quite easily? FR: At the moment, yes. I have loads of ideas and could happily spend all my time writing. I am aware that probably won’t always be the case, though. I spent a lot of time writing for other people, so I guess now I am writing for myself, I’m just going with the flow! LJN: Who’s on the launch gig?